The heavy brushed cotton spandex blend makes this cap ideal for all types of outdoor weather, hot or cold. The neutral colour options of black, navy and sandstone will blend in with any season, making this a truly versatile fashion accessory. Our range of promotional caps are manufactured to the highest standards with double stitched seams, attention to detail of construction and quality fabrics. Brushed cotton has a soft and luxurious feeling and will never fade. Care is easy with a lukewarm or cool wash and air dry. Do not wring or bleach and your cap will last for many years. This design offers a classic fit and the slightly stretchy fabric ensures that the cap offers a one-fit size. 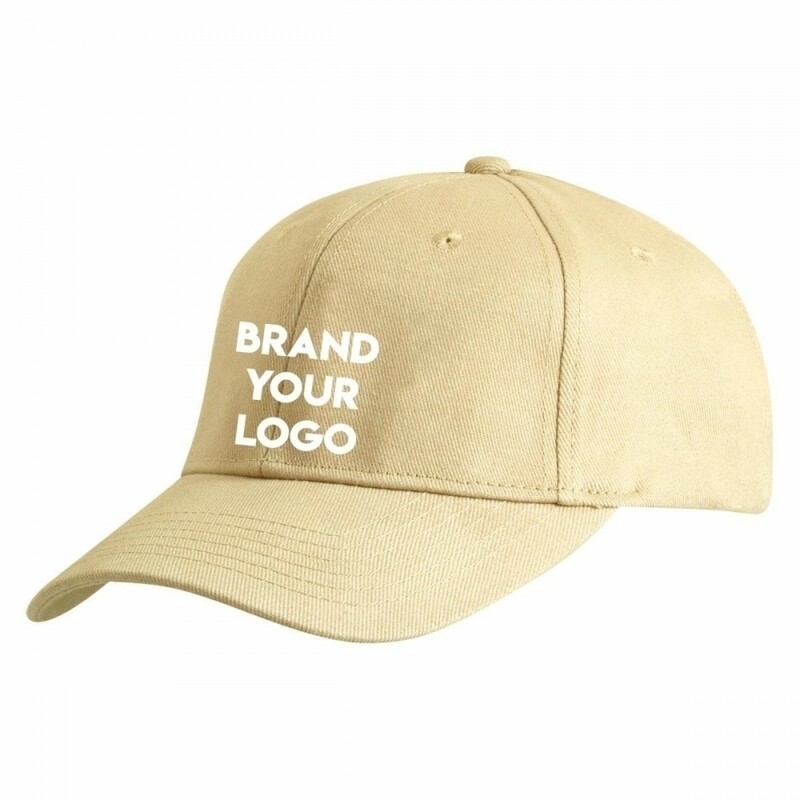 Brand these caps with your corporate logo and graphics and offer them to delegates at conferences, seminars, sporting events and team building occasions. They are sure to raise the team spirit and get your brand noticed. We offer a stunning embroidered technique to showcase your logo onto the peak, sides or back of the cap, Embroidery can accommodate multiple colours. Our pricing includes 8k embroidery of your personalised graphic. A once off set up of $50 applies for orders under 50 units. Delivery of this item is within Australia only. Please note that our pricing excludes GST.